Why it could ultimately be more than one sport that makes it onto 2020 Olympic sports programme - Federación de Softball de Puerto Rico, Inc. The three-cornered contest to get onto the sports programme for the 2020 Summer Games could be seen as both the most, and the least, predictable of next month's three big Olympic races. Like me, few people I have discussed the September 8 vote with, and who have no links to any of the candidates, can quite bring themselves to believe that the Movement truly would jettison the historical Olympic sport of wrestling and consign it to possible oblivion, at least as a globalised activity outside the realm of showbiz. To that extent, the International Olympic Committee (IOC) Executive Board's surprise decision in February to drop wrestling from the list of core sports might be interpreted as hard cheese on its remaining rivals, baseball-softball and squash. But there also seem to be sound grounds for thinking that September 8 is unlikely to be the last word on the subject, and that when athletes assemble in Istanbul, Madrid or Tokyo in nearly seven years' time for the Games of the 32nd Olympiad, individuals from at least two of the present trio of aspirants may be represented. Why so? Because just two days after IOC members, assembled in Buenos Aires, choose between the three sports, they will elect a new President. And the approach of this new President to the question of controlling the monumentally unwieldy size of the Summer Games may not be identical in every respect to that of the current leadership. Let's suppose for example, for the sake of argument, that the new man turns out to be Germany's Thomas Bach. Bach has already indicated that his favoured approach to keeping the size of the Games under some sort of control would be to retain the limit on the number of athletes and establish one on the number of permanent facilities. Such a regime, one might imagine, could very well permit the number of actual sports on the programme to grow. Bear in mind that if wrestling were to win on September 8, and nothing else changes, the list of sports on the 2016 and 2020 Summer Games programmes would be the same. So, even if, like me, you think that the unexpected inclusion of wrestling in the present race has stacked the odds against its rivals, squash and baseball-softball retain every incentive to present IOC members with as coherent a case as possible for their admission to the Olympic fold. So what are they likely to say? Squash, I think, may emphasise how diligently it has been trying to get onto the Summer Games programme. At the IOC Session in Singapore in 2005, squash was selected along with karate for possible inclusion at London 2012, but neither secured the necessary votes. It was in the running again at Copenhagen in 2009, but this time golf and rugby sevens got the nod and will duly take their places at Rio 2016, no doubt to great fanfare. It will, I imagine, make the point that it is the only one of the three current contenders that has not already been tried on the Olympic programme. And it will, I am sure, seek to highlight how much innovation there has been in recent years, and notably since Copenhagen. 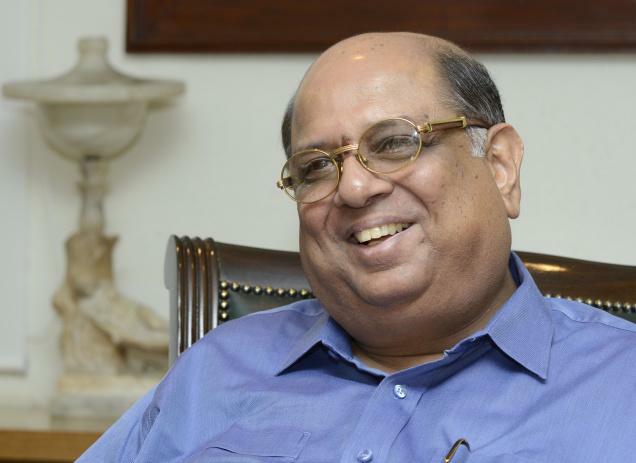 When I speak to Narayana Ramachandran, the Indian who succeeded Jahangir Khan as President of the World Squash Federation (WSF) in October 2008, he reels off a list of such changes: multiple cameras, glass floors, LED lighting instead of lines, video referee reviews, white balls, a speeded-up scoring system that makes matches last about 30 per cent less time. "We went to the IOC, we spoke to them and got advice on how to improve our sport," he tells me. He also says squash has "full gender parity", is "100 per cent" World Anti-Doping Agency (WADA)-compliant and is watched on television in 185 countries. "We have World Championships all over the world," he tells me. "This year was France and Poland; next year it's Namibia, Canada and Malaysia. We have five regional federations and we have had male and female world champions from each continent over a period of time. "How much more universal can you be?" He adds: "We have four major squash-court manufacturing companies in the world - three in Europe; one in the US - and their order books are all full." We can also expect Ramachandran and his colleagues to lay emphasis on how many prominent multisports events squash is already in and how easily it could be accommodated by the Olympics. "It's low cost," he says. "Just 64 athletes - men and women; two squash courts; 25 officials. That's all I need. "If it's in Istanbul, I can put it on the Bosphorus bridge, or next to the Blue Mosque." The sport has already staged glass-court events in both Tokyo and Madrid, the other candidates for the 2020 Games. It has also been played at other iconic venues such as New York's Grand Central Station and in front of the Pyramids. Baseball-softball, besides a cultural heritage that few sports anywhere can match, has its own long list of attributes that we can expect bid supporters to draw attention to in Buenos Aires. These include its status as a bat-and-ball sport, its large youth base, its expanding international reach and, since baseball and softball fused together for this Olympic pitch, its gender equality. 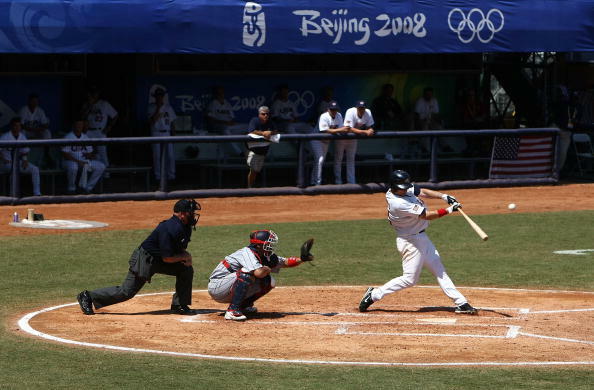 Both sports have been on the Olympic programme, separately, in the recent past - baseball as a men-only competition between 1992 and 2008 and softball for women only between 1996 and 2008. I spent a splendid day at Beijing's so-called Wukesong cluster in 2008 watching politically-charged baseball games between China and Taiwan, and Cuba and the US unfolding simultaneously in front of me. On that occasion, the final score was Communism 2 Capitalism 0. Another asset that the present bid can be expected to make much of is baseball/softball's very substantial economic and commercial clout. The bid says there are more than 65 million baseball-softball athletes at all levels in over 140 countries around the world. Some 150 million tickets are sold worldwide for professional baseball-softball matches. "We are going to mount a very strong message," says Don Porter, co-President of the World Baseball Softball Confederation (WBSC). There were, though, reasons why the sport was struck out of the Games after 2008 and IOC members, presumably, will have to be convinced that the issues have been addressed before letting it back. The WBSC's creation will undoubtedly help. But what about the shortage of marquee names at previous Olympic baseball tournaments? And how is the sport perceived to be doing in the war on doping? On player availability, Major League Baseball (MLB) commissioner Bud Selig, while supporting the Olympic campaign, has ruled out a mid-season break to enable MLB players to go to the Games without missing league matches. However, the baseball-softball bid has adroitly devised an Olympic blueprint that should allow MLB stars to compete for Olympic medals even with no break. Under this plan, the Olympic baseball and softball tournaments would consist of consecutive eight-team, six-day competitions. These would be staged, moreover, at the same facility, to keep costs down. With this proposed format, and with as much as seven years to thrash out the details, co-Presidents Porter and Riccardo Fraccari say they are "sure that we can work something out with MLB - and other professional leagues - to ensure that many more MLB players than in the past would play in the Olympics". On doping, much may depend on how IOC members interpret the recent high-profile penalties imposed on 13 MLB players, including Alex Rodriguez, one of the biggest names of all, who is appealing his 211-game ban. Will the sport get credit for the progress it has made in the area, or will members be left questioning if there is still a problem? Porter, for his part, says WBSC is "very pleased" MLB has taken "such a strong stand: they are trying to do whatever they can to eliminate it; we applaud them for doing it". Softball, he adds pertinently, has "never had a positive test in any Olympic or World Championship tournament". 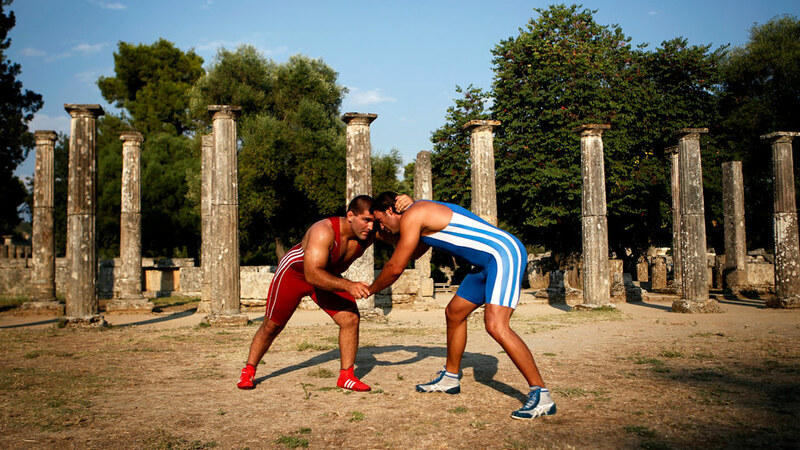 Turning to wrestling, it will undoubtedly play that potent history card, as the recent visit to ancient Olympia by Nenad Lalovic, newly-installed President of the International Federation of Associated Wrestling Styles (FILA), and a big turnout of elite international wrestlers, makes plain enough. But the perceived upturn in its prospects since the IOC delivered its bolt-from-the-blue forearm smash on February 12 has at least as much to do with the exemplary way it has reacted. The installation of Lalovic, a straight-talking Serbian construction executive and car importer, is just one of a flurry of changes that have already been, or may soon be, made. These include a sharp increase in the budget for out-of-competition drug tests; a higher proportion of women's events at the Olympics; the adoption of measures to help non-specialists to distinguish between male Greco-Roman and freestyle wrestlers; and changing the colour of wrestling mats from the usual yellow as part of a drive, similar to that which other sports are undertaking, to improve wrestling's visual impact. 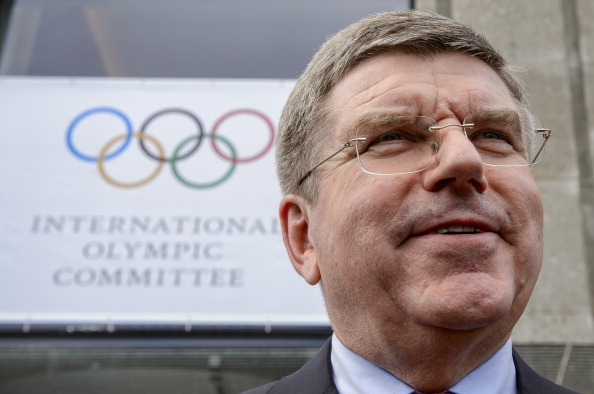 My hunch is that IOC members will give them a second chance. My other hunch is that a new Olympic sport, or sports, may in time thread a path, (or paths) onto that coveted 2020 summer sports programme even so.